The above image shows what the screen looks when managing tags. Configuring this action is very simple. The screen consists of one dropdown allowing you to choose which right panel to show. 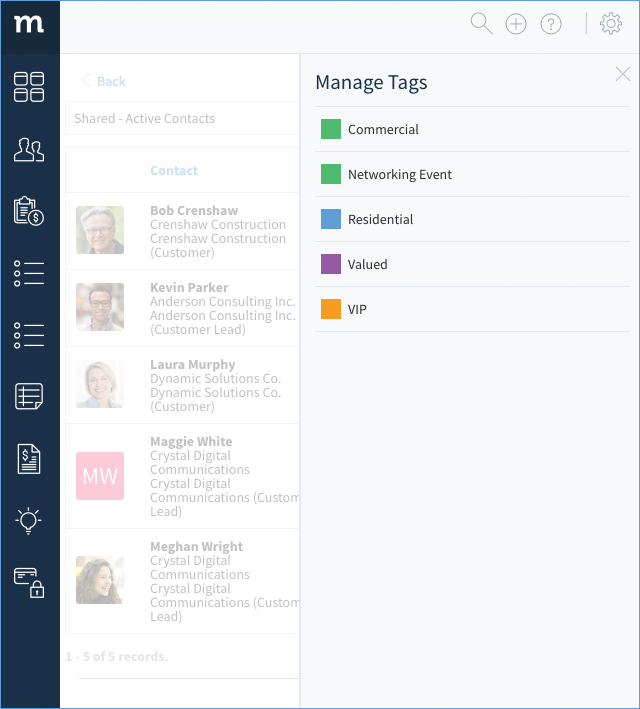 At this time, you can choose between a panel to quickly invite users, or a panel to manage tags. Selecting this option will allow you to quickly add additional Method users from the right panel which will open on your current screen. Provide a user Name for the user being inivted. Provide a valid Email for the user being invited. Set the permissions for the user being invited. You can choose to apply the Same App Permissions as those assigned to an existing user. 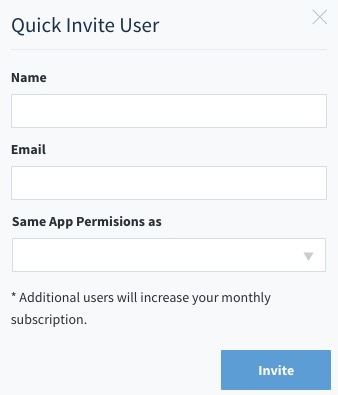 Note: Adding additional user will increase your monthly subscription cost. 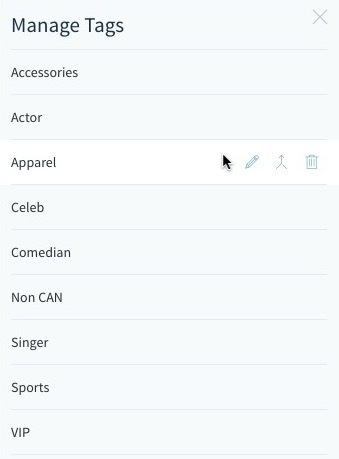 Selecting this option will allow you to quickly manage your existing tags from the right panel which will open on your current screen. Renames your existing tag. Renaming a tag will also update the tag in all records in Method with the new tag name. This will merge two tags into a single tag. This cannot be undone! This deletes a tag you will no longer use. Deleting a tag will also remove the tag from all records in Method. This cannot be undone!